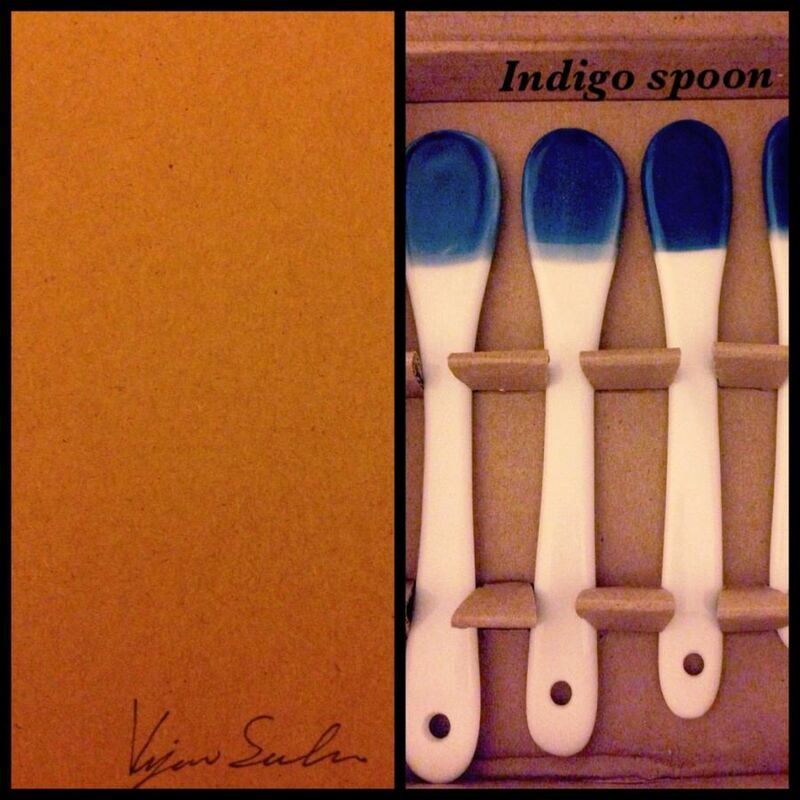 Recently I team up with Carola Zee and created a limited edition Indigo Spoon set. The spoon is for Thai Cooking for Charity project organised by Anne Supinya. The project support the less opportunate kids in regional Thailand. Indigo Spoon is 35 AUD (set of 4 spoon), all signed and numbered. The spoon can be order via the Thai Cooking for Charitypage or email Anne Supinya. The set can be mail nationally. Indigo Spoon especially created by a Thai Born Australian artist, Vipoo Srivilasa, to support "Thai Cooking For Charity" project. Spoon has been used as a link to the cooking project and it also represents prospretity and replete. ‘Blue and White’ colour were use as a reference to the export of ‘Blue and White’ porcelain from China to Europe. This is also a reference to the artist, who migrate from Thailand to Australia. The spoon can be used for Thai Chili paste as well as Australian dips and Pâté. Vipoo created Indigo Spoon from very fine porcelain and for only 30 set. It is very rare for the artists to created functional work as he is well know for his sculpture work. Vipoo’s works appear in Vogue Living, Inside Out, Belle, Art and Australia and recently on The Design Files Blog. Vipoo exhibits his ceramic work world wide including Saatchi Gallery, London, Museum of Fine Arts, Boston, USA, L’Alcora Ceramics Museum, Spain and Yingge Ceramic Museum, Taiwan. The National Art Gallery of Australia, The Art Gallery of South Australia and The Tasmania Museum and Art Gallery are among of many institutions who collect his art work. This is a special opportunity to experience objects created by the international acclaim artist and support 5 schools in Region of Thailand.